Once again, I am blown away by the beauty I see in nature. Of course, there are hearts in this photo. 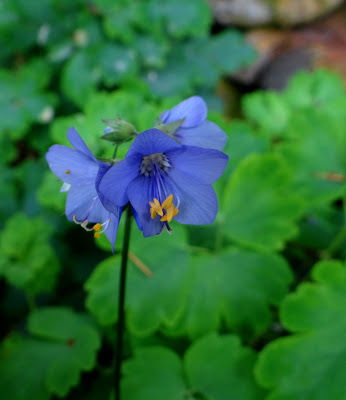 The delicate yellow at the heart of blue flower, the leaves in the gentle green leaves. 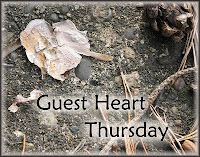 I see hearts in the sky all the time--this one was especially perfect for Guest Heart Thursday!